Veteran Kenyan hitmaker David Mathenge alias Nameless has opened up about his near-death experience last year. 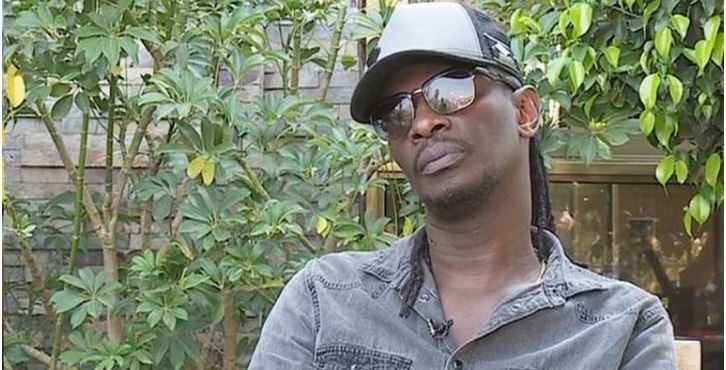 Nameless was diagnosed with a subarachnoid hemorrhage – small blood vessels in the brain had ruptured and blood had leaked into the area between the brain and tissue covering the brain. The ‘Butterfly’ singer added that he was in excruciating pain through the next thirty minutes and he felt like he was going to die. “Every time I have been in a near death situation, my first reaction is to say No! I have been on a car accident and in this case, as I found out later, I was saying No! I am not going now! I can’t! I am not ready to go! “So, I was holding my head like this because I remember it felt like it was going to explode and I could feel it boiling…I was like No! No! No! I am not going, I can’t go,” he narrated. Nameless’ fellow PRISK directors, Nonini and Daddy Owen, rushed him to Nairobi hospital but was transferred to the High Dependency Unit (HDU) at Aga Khan University Hospital. “I was at HDU for 10 days, after the 10 days I was moved to a normal ward. They were like now we have reduced some of the medicine and the blood is reducing. In total, I think I stayed for three weeks. “The only problem for me, separate from the haemorrhage, is when I lie on the back for long I have intense pain. I have always had an issue with my back. Nameless continued: “First it made me realize that sometimes we take things too seriously and life is short. “You don’t realize things are thick until you are in hospital… As long as you are alive, healthy, everything else is just a by the way,” he stated. According to Nameless, he had to forego the bookings he had made for the peak months of October, November, and December that year. Nameless hopes by sharing his experience will start conversations across the country on the life-threatening condition.